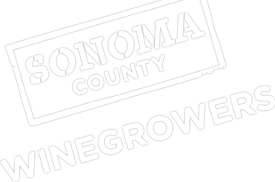 In our second show with host Steve Jaxon, Karissa is joined by 2nd generation Alexander Valley winegrower Tom Gore, who manages vineyard operations in Sonoma County for Constellation Brands, including Simi Winery, Clos du Bois, and Ravenswood. During the show, Karissa provides an update on harvest and discusses the Sonoma County Winegrowers' sustainability initiative. Gore discusses his family's history of farming in Sonoma County, as well as his passion and commitment for sustainable winegrowing. There were also several "Geek Alerts" during this episode when they started discussing vineyard technology and innovations for water conservation, including moisture probes and pressure bombs.